A new range of Blackmores PAW pet products have now become available. 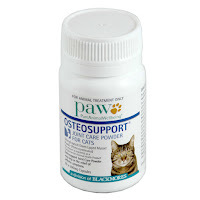 The range includes a variety of essential pet products such as shampoo, conditioner, conditioning mist, calming gel, vitamin and mineral chews, probiotic powder and joint care powder and capsules for both cats and dogs. This range has products for anything from the simplest pet care, such as washing your pet using the PAW 2 in 1 Conditioning Shampoo, right through to catering for pet specific problems such as using PAW Osteosupport Joint Care Powder/Chews to help your pet’s joint function and health. 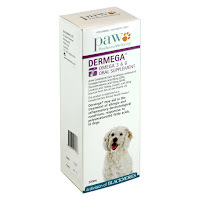 The range provides products that cater for pets of different ages, with different skin types and differing needs. 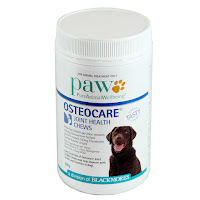 Check out the full range of Blackmores PAW pet products here.